A color-changing face mask, Timothée Chalamet tee, avocado rug, and 30 other things to make you say, "Ugh thanks BuzzFeed, now I NEED THIS!" 1. A lovely lady who longs to use your sponge as a wig, keeping it dry and bacteria-free until the next pile of dishes needs to be done. It fits most kinds of sponges and scrubbing pads! 2. A Call Me By Your Name–inspired Timothée Chalamet t-shirt for anyone who is still jealous of James Ivory's Oscars outfit. If you don't call this your "Tee-mothée Chalamet," what are you even doing. Get it from Mania T-Shirts for $29.99 (available in sizes S–2XL and four colors). 3. 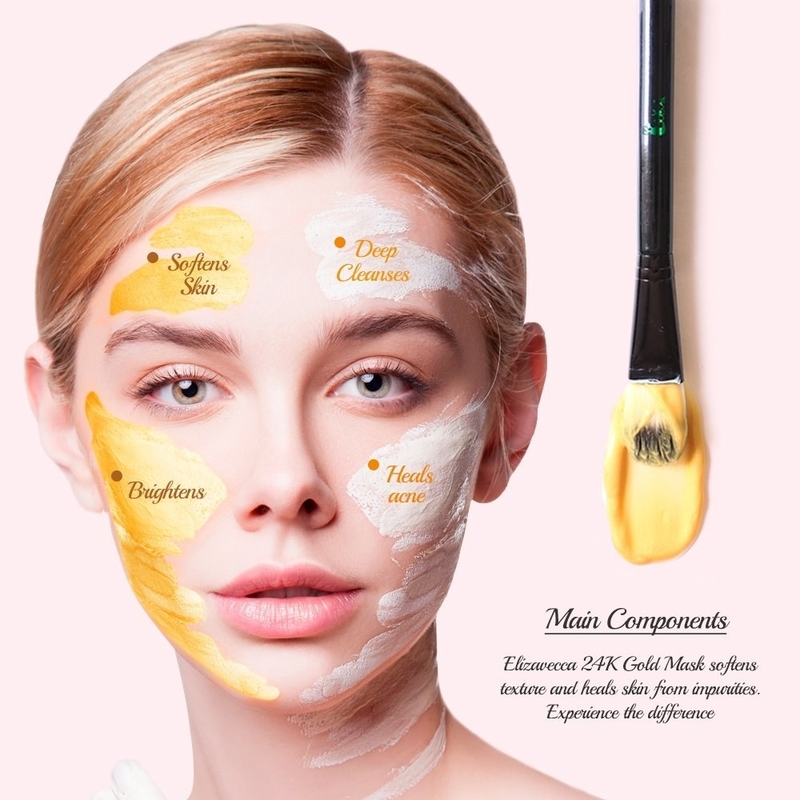 A deep-cleansing, 24K gold–infused mask that'll change color from gold to white as it dries on your skin, clearing out pores, removing dead skin cells, and refining your skin's texture. In addition to the gold, it also contains berry extracts to help hydrate your skin and propolis extract (it's a bee product!) to fight acne. 4. A sloth car decal, because you can't get pulled over for a speeding ticket with this little fella waving from the back seat. It's true; I didn't make up the rules. 5. A Sophia Petrillo figurine to inspire your best zingers and burns. "Picture it: Sicily, 1922." Funko Dorbz are smaller and even cuter than Funko Pops — these little darlings are only three inches tall. Get it from Amazon for $6.93. Complete your ~golden~ collection with matching Rose, Dorothy, and Blanche. You can also get a set of all four from Amazon for $39.99. 6. A super-cheap tea towel for anyone whose aesthetic is a little bit illustrated fruits and a little bit Biggie lyrics. 7. A transparent shower curtain that'll make your tiny bathroom feel bigger, while adding a hint of tropical vacation vibes with the palm and monstera leaf print. Get it from Walmart for $8.48. 8. A dainty gold-plated necklace with rhinestones in the shape of your zodiac sign's constellation. You and this necklace? A pairing written in the stars. Get it from Amazon for $17.50 (available in all 12 zodiac signs). 9. A wine glass emblazoned with your favorite new Vanderpump Rules quote. Fill it with your finest $5 full-bodied red and pair with... well, pasta. IT'S NOT ABOUT THE PASTA!!!!!!!!!!!!! Get it from Gold Half Moon on Etsy for $16. 10. The Extraordinary Book of Useless Information, a fun fact–filled volume of only the best (and least useful) tidbits so you can small talk like a champ and win every single pub trivia night. 11. 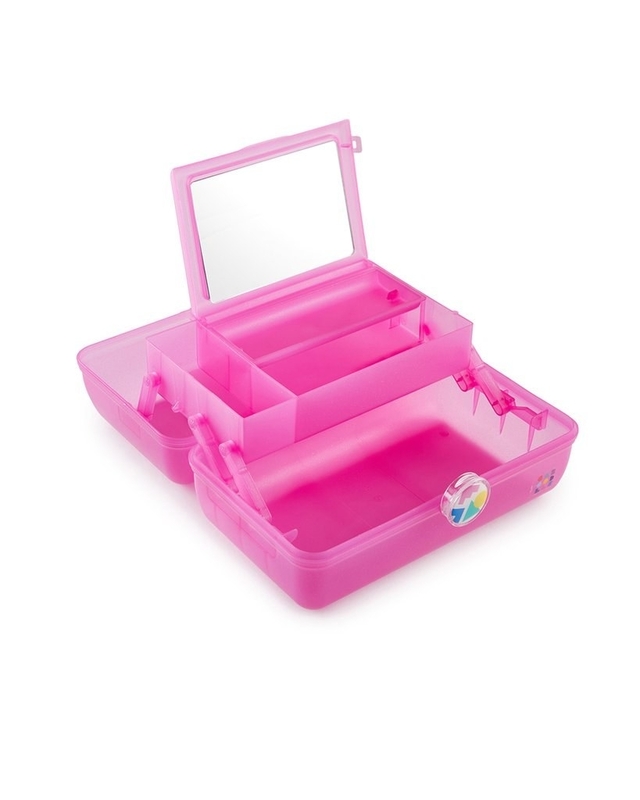 A vibrant Caboodle for an adorable throwback that'll ALSO help you keep your overflowing makeup kit (or all your favorite *sparkly gel pens*) organized. Get it from Bando for $17 (available in two colors; smaller size available for $10). 12. An English muffin splitter to neatly half your favorite breakfast food WITHOUT ruining the structural integrity of the ever-important Nooks and Crannies. If you're using a knife to cut open an English muffin, you're doing it wrong! 13. A Bob Ross chia pet, because simply painting happy trees is no longer enough. Now he gets to *be* a happy tree. 14. 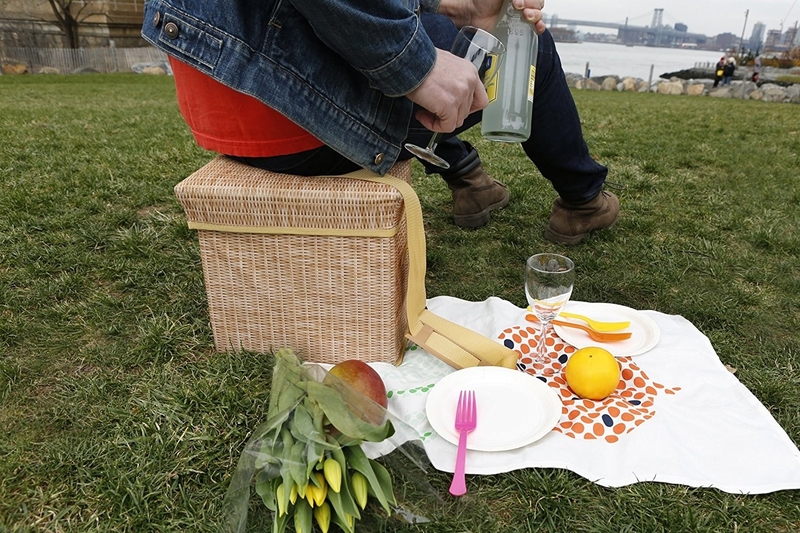 A wicker-print, insulated cooler so you can carry your all your picnic delicacies and keep 'em chilled — PLUS it's strong enough to double as a seat! 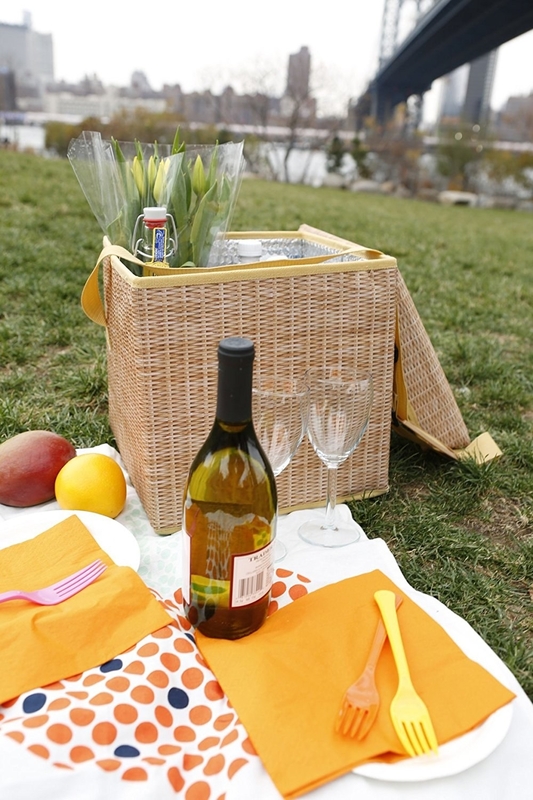 "It's no picnic" — you, carrying your park wine BEFORE discovering this cooler. 15. A personalized mug (you can customize it with your dog's breed and name!) to inspire you during that 9-to-5 grind. Get it from Sparkly Prints on Etsy for $16+ (available in two mug sizes and 70!!!! dog options). 16. A pop star–worthy beach towel, so when your friend says "Ugh, why do you always have the cutest stuff?!" You can just sing "Oops, I Did It Again". Get it from Firebox for $33.29. 17. A bow tie with a built-in bottle opener to put the dandy in handy-dandy. The opener just slides right in and out of a compartment in the back of the bow tie! 18. A hand-held nightlight you can take with you on every trip or vacation, chasing away the nighttime scaries for good. 19. An eye mask with a crystal clear message to the sun that comes streaming in *wayyyyyy* too early on weekend summer mornings. 20. 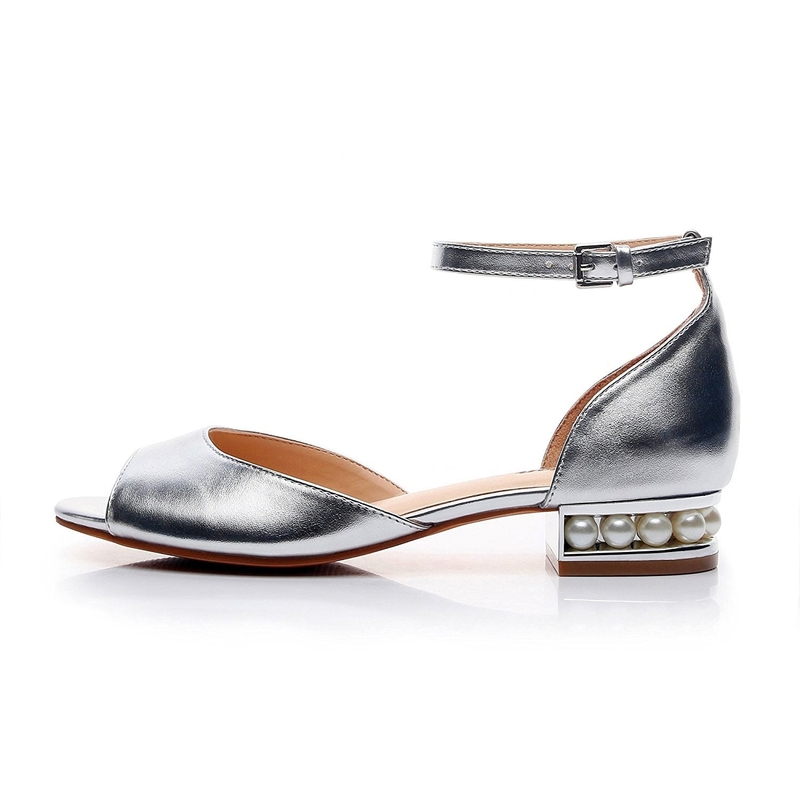 Surprisingly inexpensive ankle strap sandals with pearls in the heels so you can truly ~step up~ your summer outfits. Get them from Amazon for $27.99+ (available in sizes 6–9.5 and two colors). 21. A Reuben sandwich dog toy that'll make you say "Katz's? Never heard of it." It has two squeakers in the "rye bread," crinkle material in the "corned beef" and a big ole pickle squeaker on top, making it a veritable BUFFET of fun for your favorite furry friend. Get it from Target for $7.99 (originally $8.99). Promising review: "This dog toy is so cute. We have an almost 10-month-old Australian Shepherd. He loves chewing and playing with toys, so this toy was perfect for him. It has different features to it, so that in itself keeps him entertained for a long time. The middle crinkles and there are three squeakers in it. There is a bungee in the middle and it makes the toy super stretchy. The material is soft, so your pup or doggie won't hurt his or her mouth. Our dog really loves this toy. He will throw it in the air and play fetch. He is entertained for such a long time, and I don't have to worry about it making him sick or hurting his mouth or teeth. So far it seems really durable and should last for a while." —Keisha N.
22. 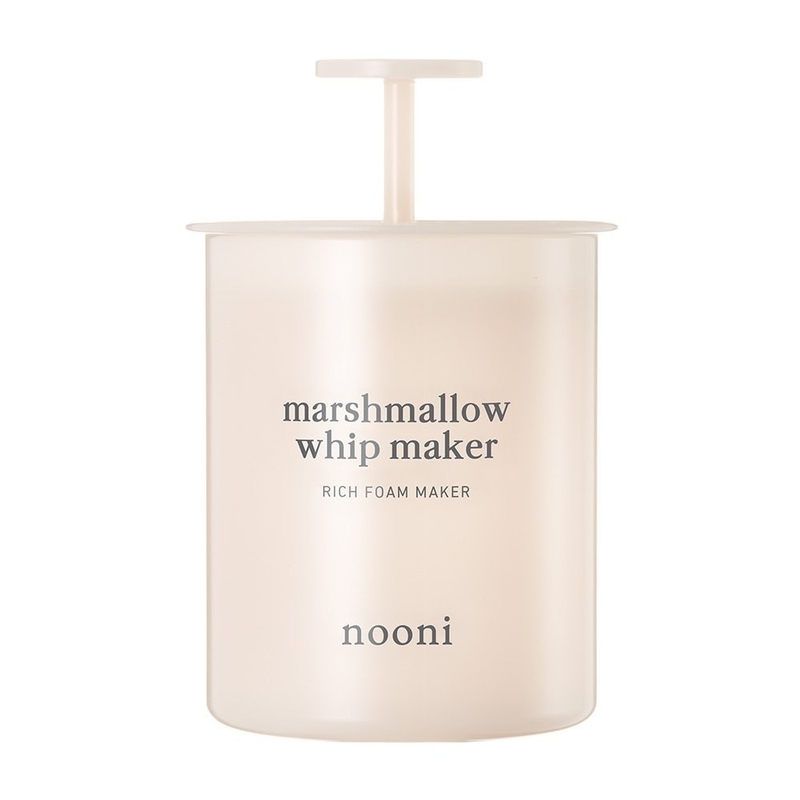 A face wash foamer to fluff up whatever cleanser you use, so you use less product (saving $$ in the long run) and enjoy a more ~luxurious~ experience. 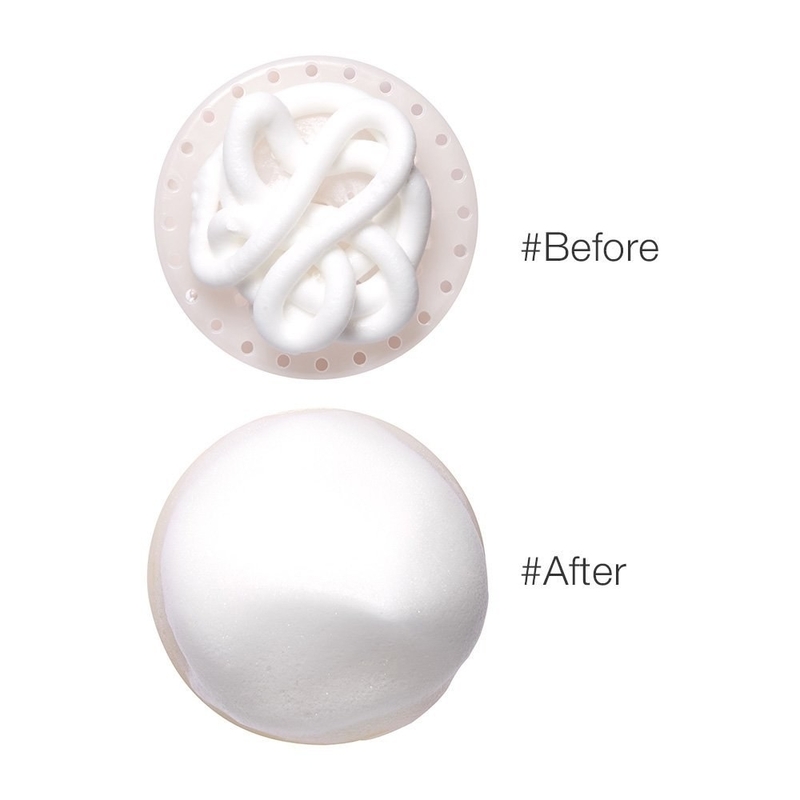 Plus, the foamed up wash is less harsh on sensitive skin! 23. A cheeky or travel-inspiring planner, because you totally forgot to start one in January, but it's not too late!! These 13-month planners start in August, so you're all set! 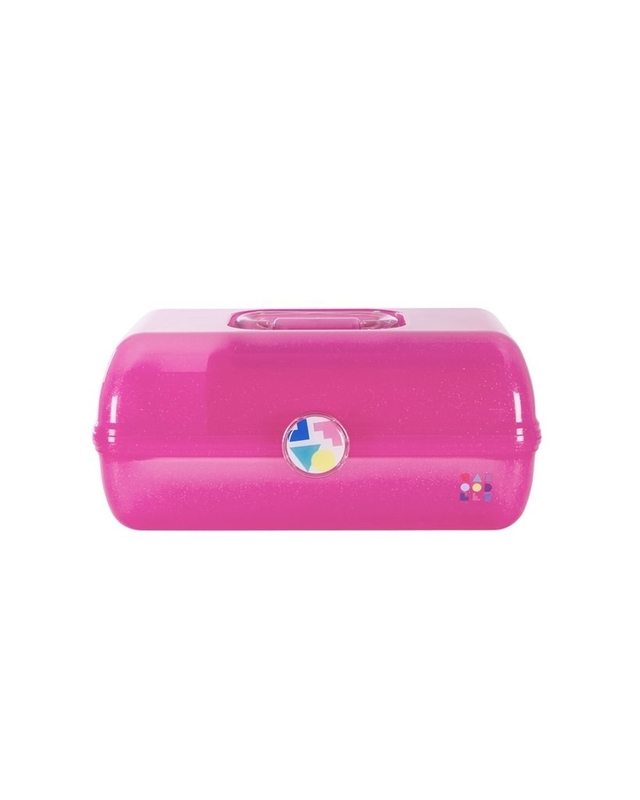 Plus they're filled with sTiCkeRs, artwork, to-do lists and more to make organizing your whole life more fun. Get them from Bando for $20 each (available in four designs). 24. A pair of bold and super stylish frames with blue light–blocking lenses so you don't get a computer headache after staring at your screen for hours and hours and hours and hours. You can also fill these with your regular prescription for a $$$$ look at a $ price. Get them from Privé Revaux (available in three frame colors) or Nordstrom for $29.95. 25. A cut-out shark print one piece to help you take a ~bite~ out of summer fun. Get it from American Eagle for $19.98 (originally $49.95; sizes S–L). 26. A set of Star Wars Lip Smackers, because dry lips are the path to the Dark Side. The flavors include Jedi Master Mint, Darth Chocolate, R2D-licious Blueberry, and Ice Cream Clone. And if anyone tries to steal these from you, go with a casual "These are not the lip balms you are looking for." Get the pack of four from Amazon for $17.99. 27. A perfectly pink Powerpuff tee for an outfit composed of sugar, spice, and everything nice. 28. A six-pack of non-sticky rainbow slime filled with glitter and pearl beads, because regular slime just won't do it anymore. Get the pack of six from Amazon for $17.99. 29. A Lucille Bluth pin you can point to when someone asks a question you don't understand, and won't respond to. Get it from Goellnerd on Etsy for $10 (insert "It's one banana, Michael. What could it cost, ten dollars?" joke here). 30. A silicone trivet to keep your counters beary safe from scorching. You can take something right out of the oven and put it on the trivet — no Goldilocks-style "This porridge is too hot!" here! 31. 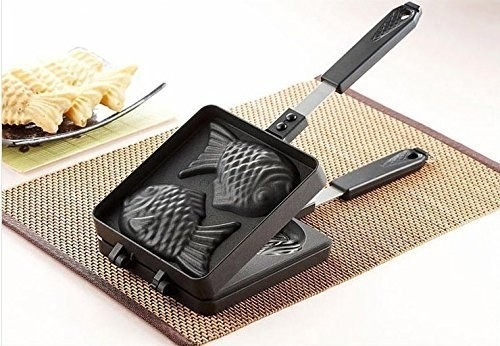 A stovetop Taiyaki maker that'll help you whip up Instagrammable fish-shaped waffles in the comfort of your own home. 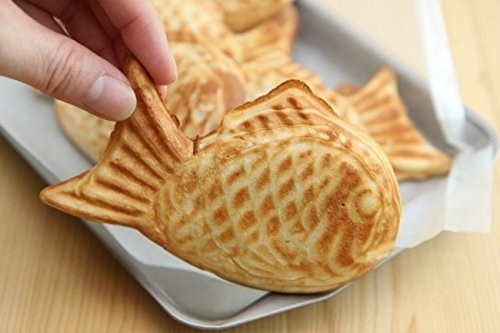 Leaving the house is overrated, but these fin-tastic treats are not. Promising review: "I have used it twice and it has worked great (and hopefully continue doing so). Very easy to use and clean. Made very good snack food with traditional red bean paste and untraditional cheese filling." —K. W.
32. A cheery rug that, unlike real avocados, won't turn from perfectly ripe to brown in approximately .0000005 seconds. 33. A Van Gogh coloring book you can fill out while watching the "Vincent and the Doctor" episode of Doctor Who — just be careful not to cry onto the book when you're watching, you don't want your artwork to smudge. Haven't watched the episode? What are you even doing. Stream it on Amazon Prime for freeeeee.